Romantic. Picturesque. Beautiful. These are some of the words that spring to mind when we reminisce about the winery weddings that we have been a part of over the last 17 years. Essential Catering and Events have been hosting picture perfect weddings across Melbourne and the Yarra Valley for over a decade. The team of wedding experts at Essential Catering and Events specialise in creating dream weddings at some of The Yarra Valley’s most stunning winery venues. Fresh from last year’s rebrand, the team at Essential Catering and Events (formerly The Essential Caterer) took time out from their busy wedding season to tell us why Yarra Valley winery venues are the ultimate destination for beautiful weddings. Location. Location. Location. We can’t think of a winery reception venue in the Yarra Valley that does not boast the most breathtaking vineyard views. 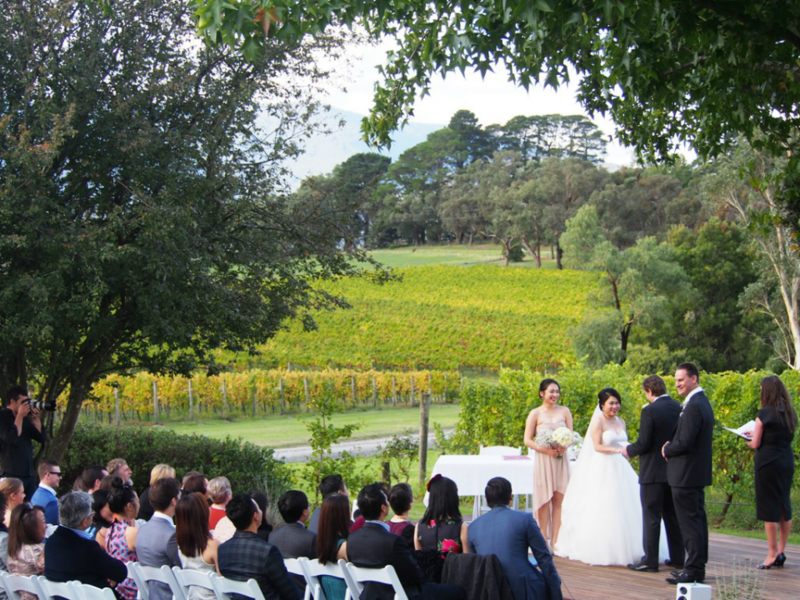 The lush vineyard makes a stunning ceremony backdrop at Bulong Estate. Winery venues provide the ultimate convenience in that you have a gorgeous ceremony location and wedding reception venue all in the one spot. 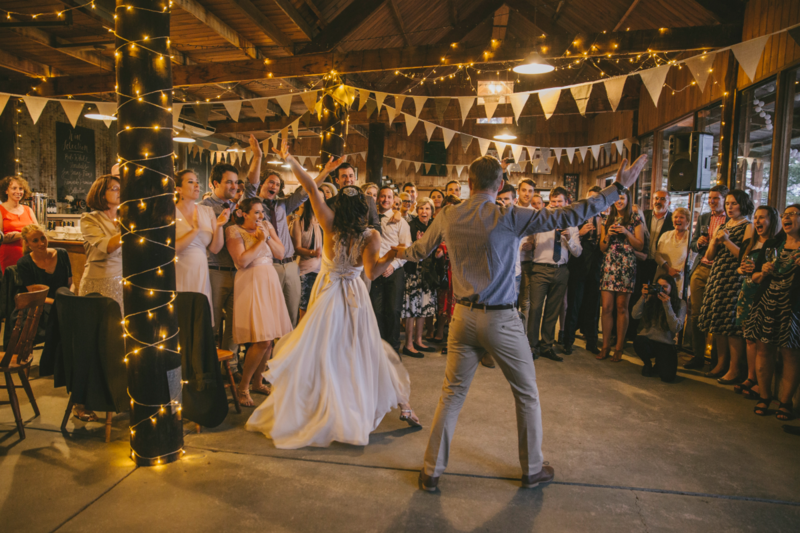 With stunning outdoor ceremony options onsite (plus the all-important wet weather option) you can start the celebrations early while the wedding party takes photographs. Winery wedding venues provide the perfect backdrop for stunning wedding photographs and endless selfie opportunities that are totally ‘Insta worthy’. Wineries provide unique wedding photograph opportunities as seen here at Yering Farm Winery. The rustic farm or barn design features of winery venues ooze character and charm. Rustic touches such as hay bales, wine barrels and timber bars all add to the uniqueness of these gorgeous spaces. Who doesn’t love a long weekend? 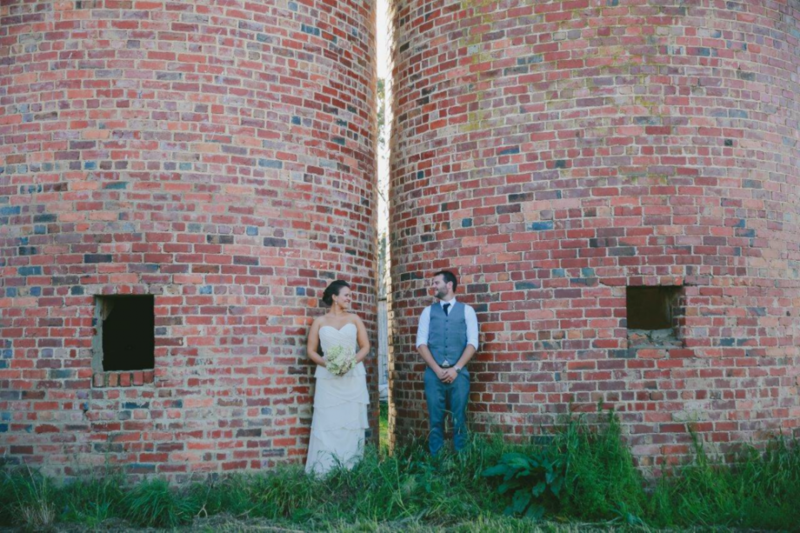 Your guests can treat your special day as a mini getaway, taking advantage of the countless accommodation options and cellar doors to explore. If you love a good drop, a winery wedding is the perfect venue choice. Some of the venues have been making wines for generations! Incorporating local wines into your wedding package is a gorgeous touch that your guests will no doubt appreciate. There is a casual elegance about winery weddings. With abundant natural light, sweeping landscapes, lush greenery and rustic charm – winery venues create a romantic atmosphere for your special day. Great wine and great food go hand in hand. From formal to fun, the team at Essential Catering and Events love working closely with couples to design a menu that best suits their style. Their seasonal menus include only the most fresh, local ingredients (including herbs, fruits and vegetables grown with love at their onsite kitchen garden). 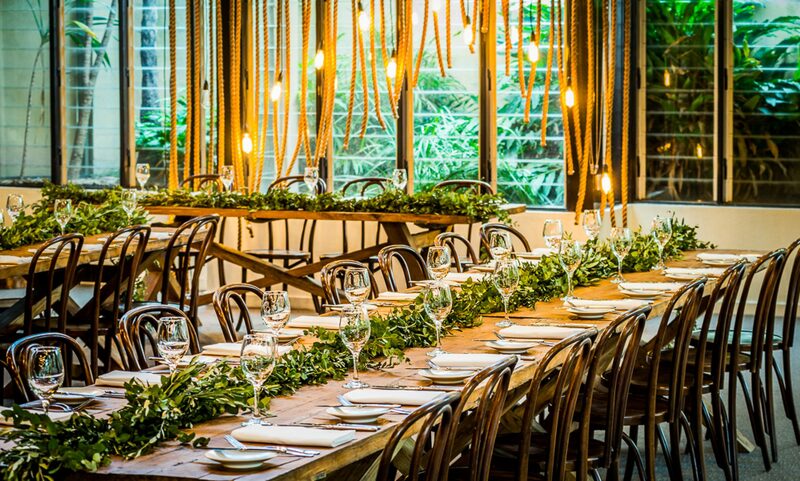 Speak to the team at Essential Catering and Events to find out about their portfolio of stunning Yarra Valley venues today. We have a range of rustic style pieces as part of our huge range of furniture, décor and equipment for hire. Click here to contact our friendly team.